Description. 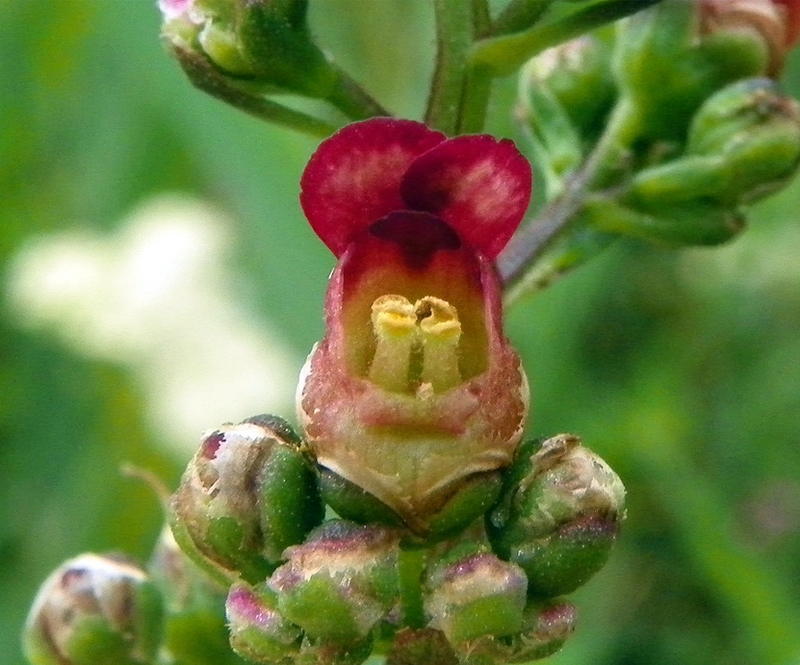 — Figwort has a perennial, whitish, and fibrous root, with a leafy, erect, smooth stem from two to four feet high. The leaves are opposite, ovate; the upper lanceolate, acute, of deep green color, and from three to seven inches in length. The flowers are small, and dark purple in color. The fruit is an ovate-oblong capsule. Scrophularia nodosa var. occidentalis Rydb.